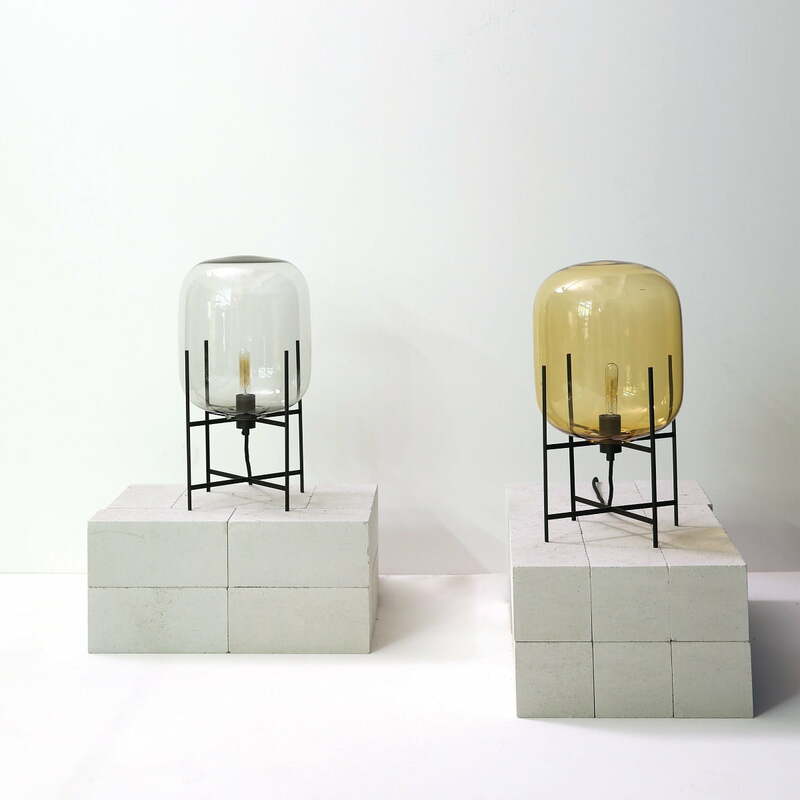 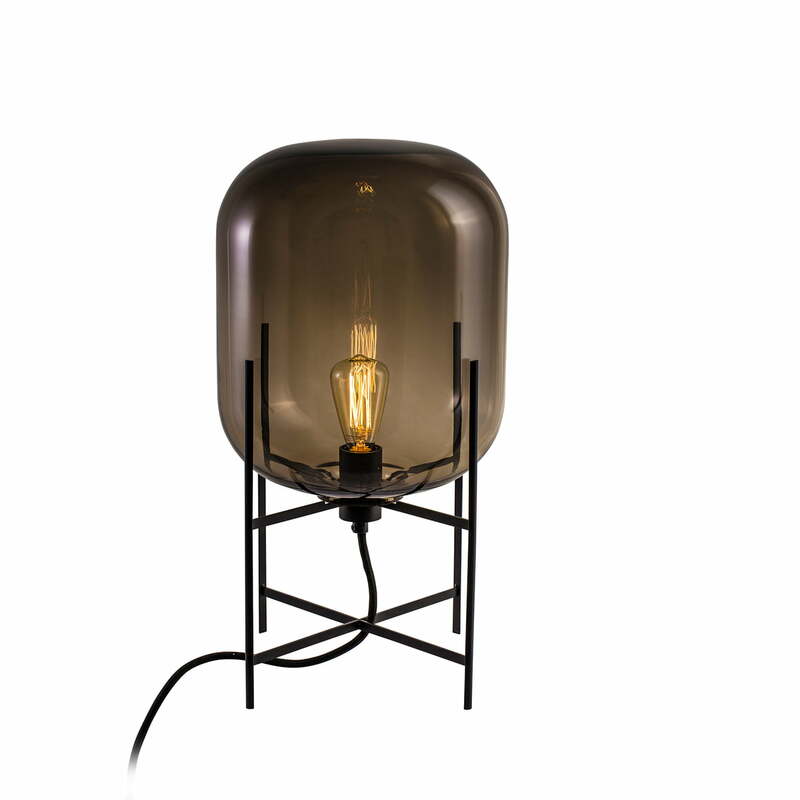 Design lamps by Sebastian Herkner Oda is a light reservoir; a light balloon made from glass, with industrial charm. 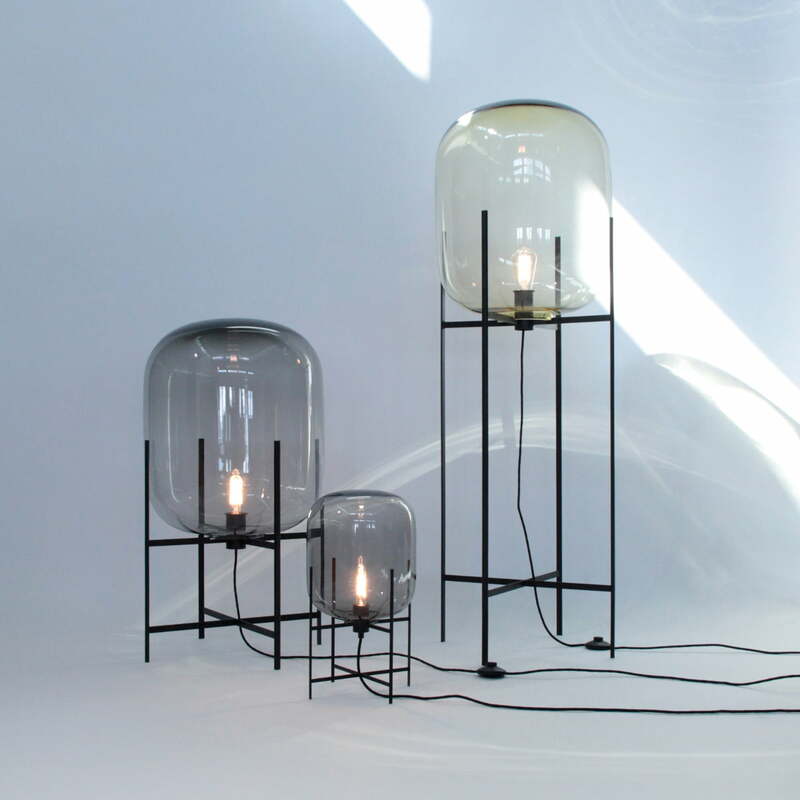 The mouth-blown glass bodies in the Oda lamps are combined with a simple metal frame made from powder-coated steel. 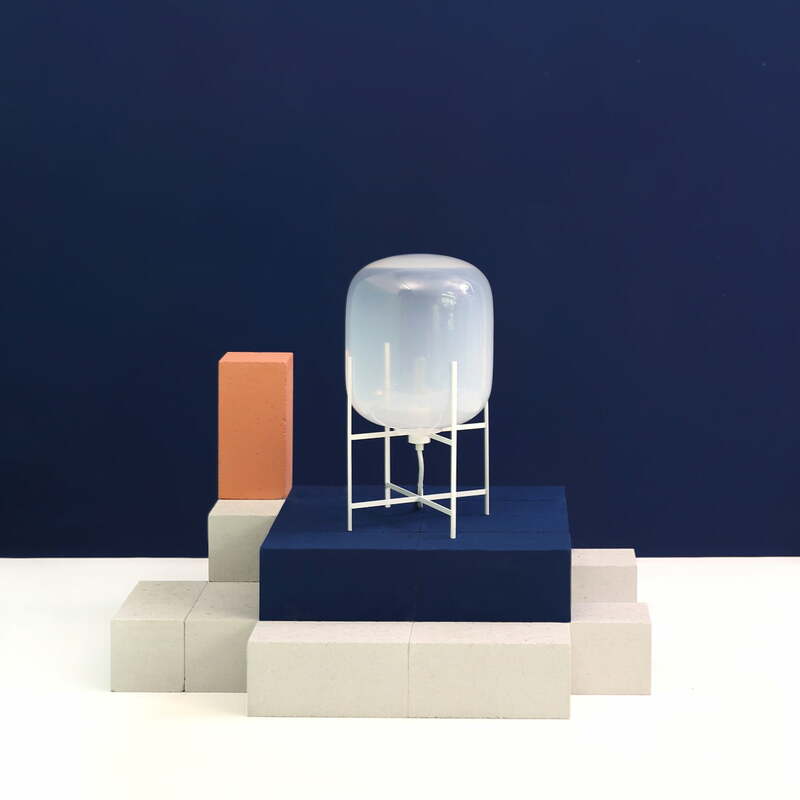 This material combination is typical of the designer Sebastian Herkner, who creates furore in living rooms with his exciting reinterpretations. 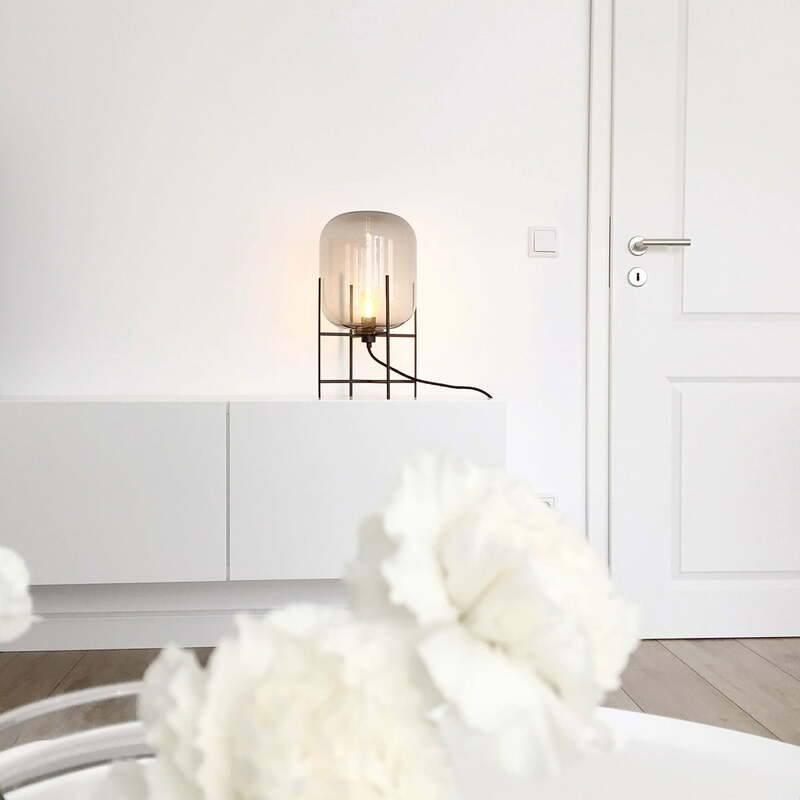 Oda is available in three different sizes and is just as suitable as an eye-catcher for the table as it is as a standard lamp in the living room. 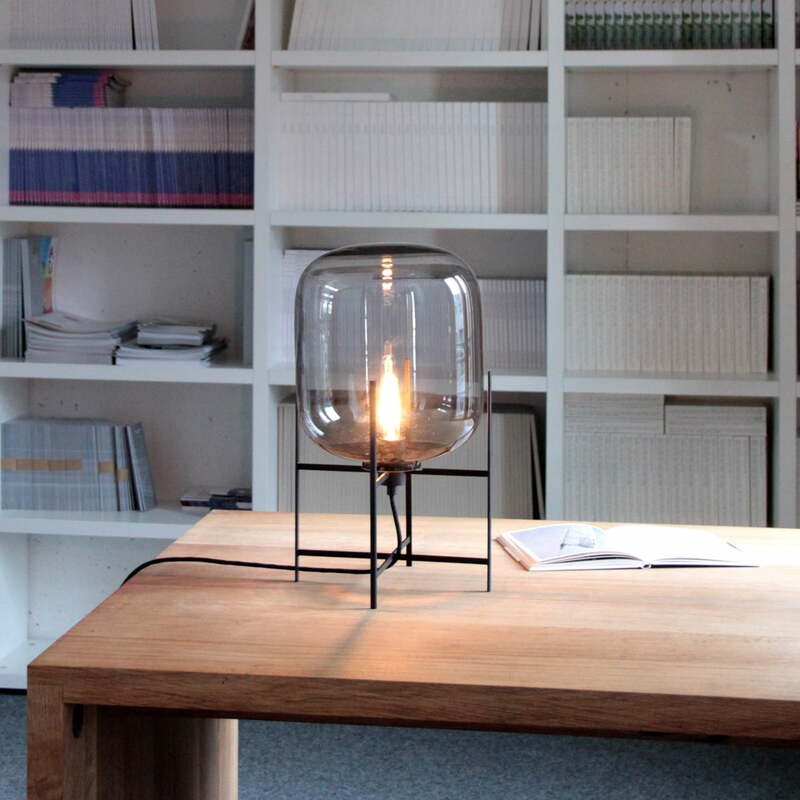 The lamp is particularly flexible as it has a 3 metre long cable so can be completely flexibly positioned. 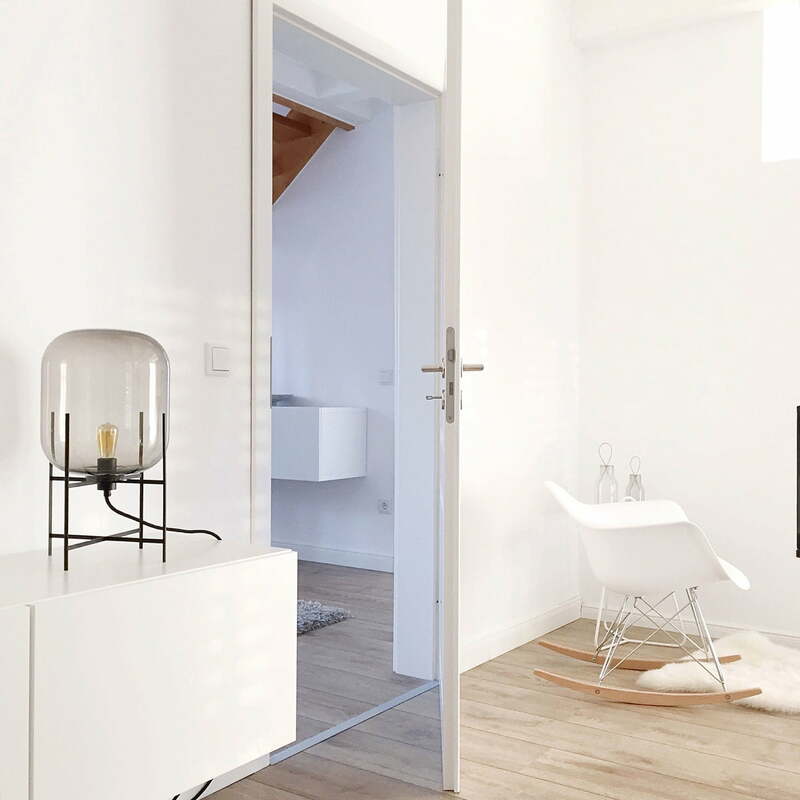 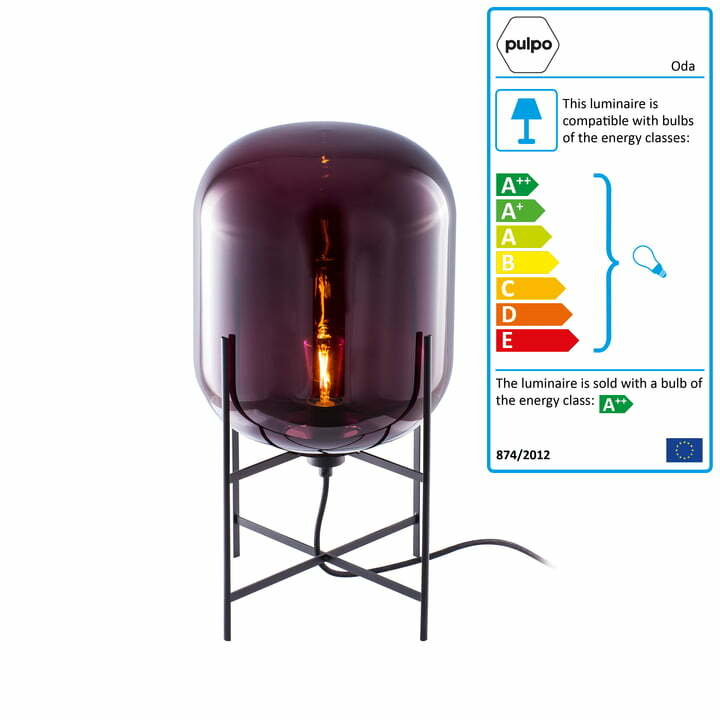 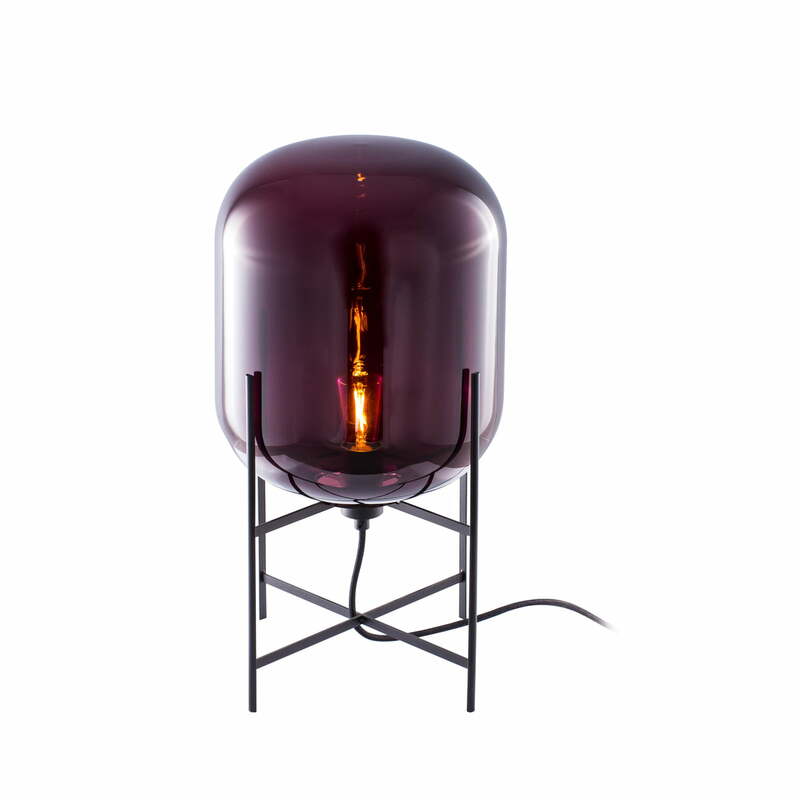 The Pulpo Oda lamp is available in further colours and sizes on request.